Anyone else spend quite a lot of their time with serious food guilt? Last weekend I actually found myself hanging my head in shame at the fact that the bin men were going to see two pizza takeaway boxes and a Maccy D bag in one collection! Our takeaway habit had definitely got a little out of hand! 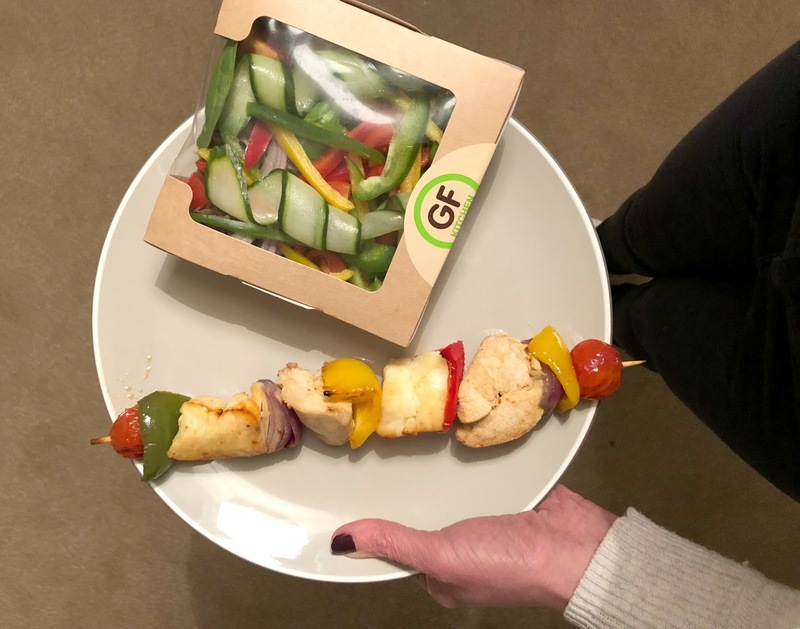 So when a lovely e-mail about guilt free takeaways lovingly prepared by the folks at Guilt Free Kitchen in South Shields appeared in my inbox, I have to say I was very thankful that these healthy meal planning angels had come along to save the day. When they asked if I wanted to give one of their six day meal plans a go, it took me all of two seconds to fire back a quick 'HELL YES!" I'm sure most of you know that a while ago I made a huge lifestyle change and lost 9 stone (you can read my weight loss story here). I've managed to stay at my goal weight for over five years now but believe me the struggle is real. Every day it's a mission to keep myself happy and full whilst the little devil on my shoulder whispers naughty things about cake and chocolate in my ear. More than anything I've worked very hard over the years to have a healthy and happy relationship with food. I try desperately hard not to calorie count, to not get obsessed with the numbers and instead to lead a life that's balanced - giving my body the proper food it needs to function. Whilst my Instagram is full of delicious photographs of afternoon teas and burgers, 80% of the time I like to try and fuel my body sensibly. But I am stuck in a rut! I've fallen into the habit of eating the same meals and people in my office actually laugh at the salads I take in every day. I've been eating the exact same lunch at my desk for 5 years! It's boring, it doesn't make me very happy and I've stopped enjoying my food! So Guilt Free Kitchen came along at the right time! With arms full of fresh produce, a kitchen packed with delicious treats and some amazing recipes they put me together a 6 day plan to get me excited about eating healthily again and I couldn't be more grateful! 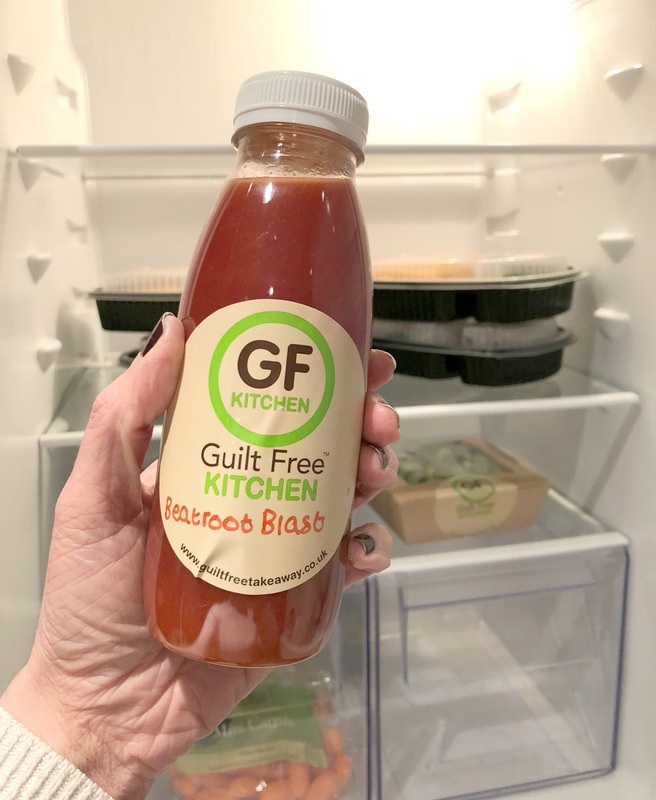 Guilt Free Kitchen prepare all of their food without any gluten or wheat products, using ingredients in their purest form with minimal processing and all their dishes are cooked with the finest grade coconut oil. My 6 day food plan arrived at my door in two deliveries - three days worth of food arriving on Sunday evening, with the second delivery appearing on Wednesday. Perfect for keeping my food lovely and fresh in the fridge. Everything was neatly packed in brown paper bags and unpacking everything to see what I had was a little like Christmas, I couldn't wait to get started! I always like to try and give myself a good kick up the bum on a Monday and am usually in need of a huge dose of fruit and veg so I started my week off with a Refreshing Greens juice - Cucumber, Pear, Apple, Spinach and Lime. It was a delicious zingy way of getting plenty of nutrients into my body and I have to say it woke me up in a much better way than my usual sugary coffee! For lunch I enjoyed Chicken Kebab Skewers with a generous selection of chicken, red peppers, onion and tomato served with a huge side salad. A welcome change from the usual boring salads I take into work and when someone brought the birthday cakes out for once I wasn't even tempted as I was so full! 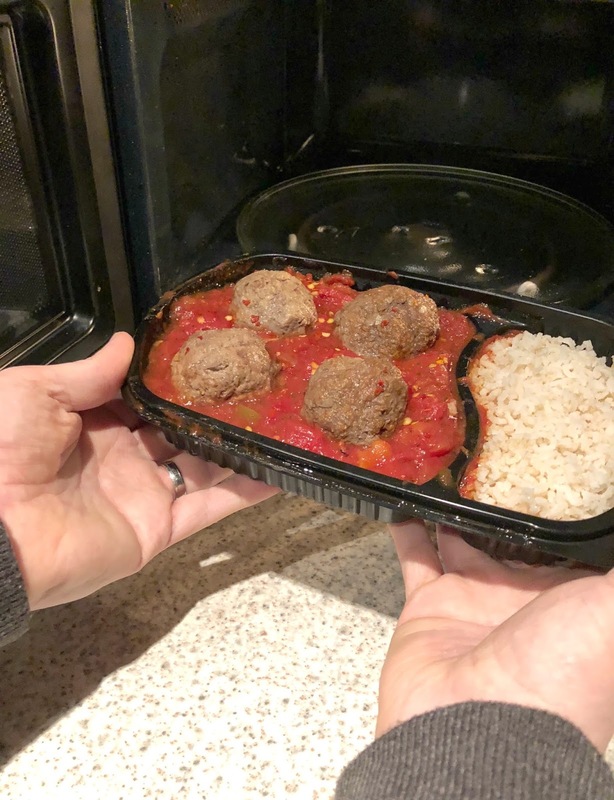 My evening meal was the delicious Spicy Italian Meatballs. Just a quick 5 minute blast in the microwave and they were ready to enjoy, even on day one I was realising how I should be varying my diet more - as I was washing the dishes up after dinner I was already day dreaming about tomorrow's food! For the first time ever I had a hot lunch at work and I really enjoyed it. 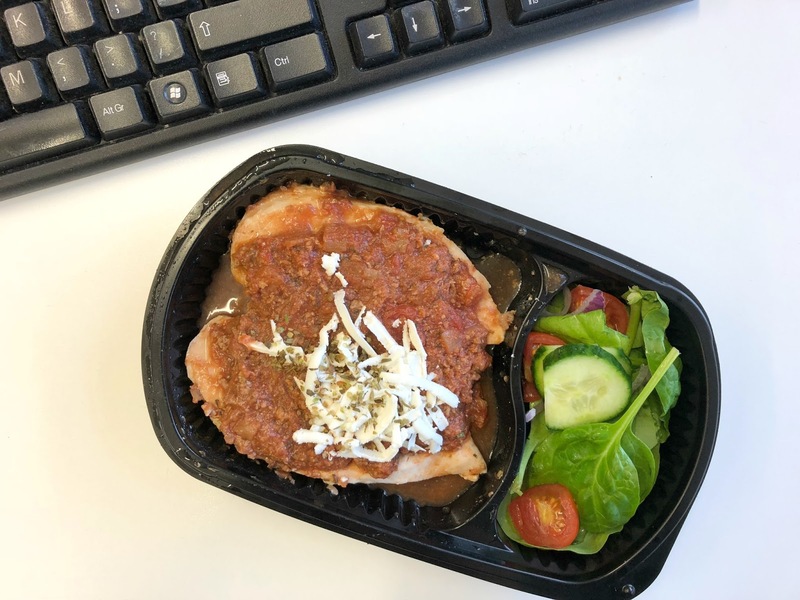 My Guilt Free Kitchen Lasange was easy to transport and was ready to eat in a matter of minutes after a quick zap in the office microwave. I definitely made my colleagues jealous with the delicious smell and it was so lovely to have a nice warm tummy on a miserable day. After my indulgent lunch I felt like something a bit lighter in the evening so decided to enjoy the Stuffed Peppers - two peppers stuffed with Bolognese, topped with feta and served with a side salad. Shepherds Pie day and the mountain of delicious sweet potato mash kept me full for the entire afternoon. Eating Guilt Free definitely made me realise that my usual lunch time portions are far too small - it's no wonder I end up in the biscuit tin! 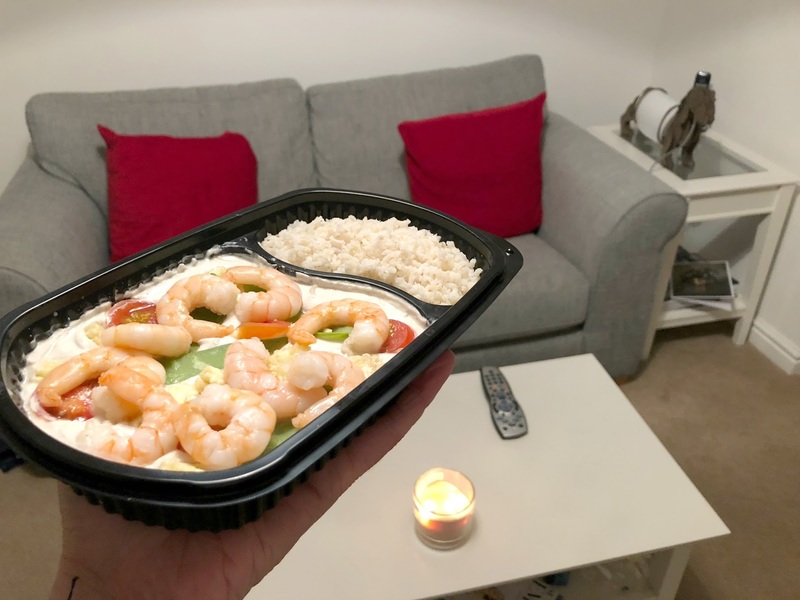 My day ended with a delicious King Prawn Green Thai Curry which I enjoyed slobbed out on the sofa with my favourite candle and full control of the TV remotes. Far superior to the nasty takeouts I usually get on TV nights, this dish was one of my favourites from the week and I will definitely be ordering it again next time I fancy a treat night. Thursday is usually the day that temptation starts to get the better of me and I start craving something naughty. It's a real struggle not to sit at my desk all day eating chocolate and cake. Luckily I had my tasty Guilt Free Bolognese Chicken Meatza to look forward to which definitely helped me kick the sugar monster into check. Yet again my colleagues were asking me where I'd got all of my food from, they're really not used to me making such delicious smells in our kitchen. Dinner I decided to indulge in a spot of Italian with the Spicy Italian Chicken - slices of tender chicken cooked in a rich spicy tomato and garlic sauce. Definitely no kisses from hubby that evening but with a very happy tummy I wasn't too bothered! I finished my working week with some seriously delicious Turkey Burgers served with rice noodles and spinach. I have to say I was feeling pretty smug after eating my healthy lunch and then going for an hour long power walk. I'd definitely earned my weekend treats! Dinner on a Friday is when we often end up feeling too lazy to cook and end up getting something naughty. So I was really happy that were some brilliant takeaway style replacements in my delivery from Guilt Free Kitchen. I enjoyed a huge pot of Singapore Chicken Fried Rice, the portion was huge so I ended up sharing it with Simon who declared it a huge takeaway success. Of course, treats on a Friday in front of the TV are a must and luckily there are some guilt free desserts available from Guilt Free Kitchen too. 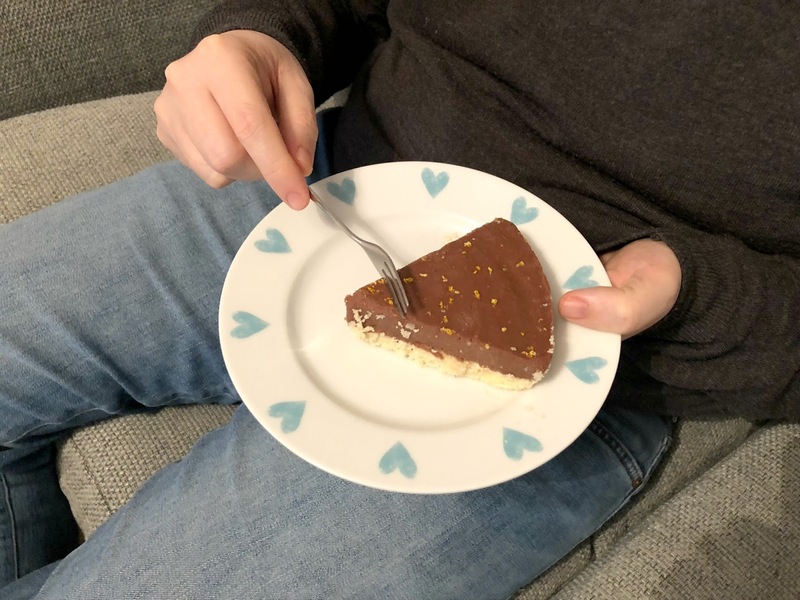 Unfortunately I couldn't tuck into the cheesecake (damn my nut allergy) but I gave Simon my slab and then had to watch him eating it all while I had a boring digestive biscuit. Not fair! We spend most Saturdays rushing about trying to get too much done in a day. We like to get up early to do the dreaded "big shop" and quite often it's a struggle to find the time to eat. Being the kind person that I am I let Simon enjoy one of my Guilt Free Kitchen goodies for his lunch so it was a delicious Chilli for me and Chicken Masala Curry for him, very indulgent compared to our usual Saturday lunches but weekends are all about treating yourself. My meal was delicious but after stealing a few spoons of Simon's his was the definite winner, the flavour of his dish was so good. I will admit I was a little worried that I wouldn't enjoy my Guilt Free Takeaways when I agreed to test them out. 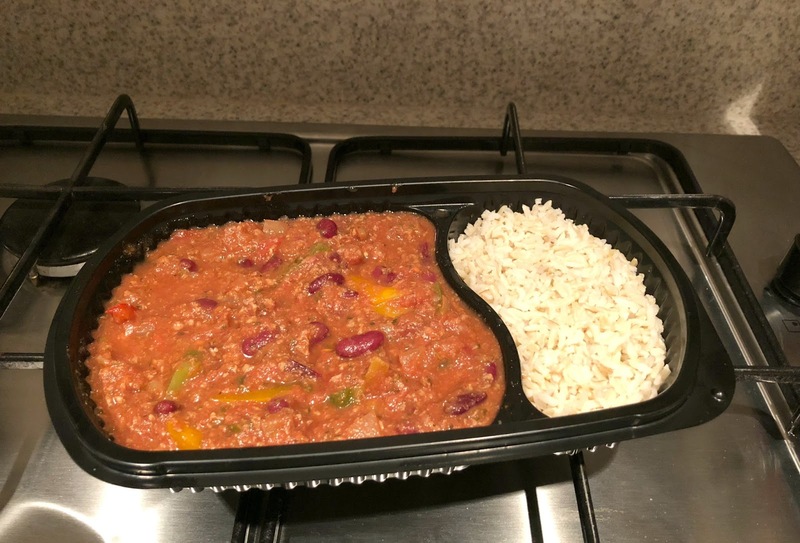 Being very set in my ways I wasn't sure that I'd appreciate a change in my routine but I can honestly say that trialling the Guilt Free Kitchen Meal Plan opened my eyes to how boring my eating habits have become. The Guilt Free Kitchen Meal Plan is ideal for a busy week (and far better for you than those nasty microwave meals you buy in the supermarkets!) and a great way to kickstart a healthier lifestyle. Although it's probably something you wouldn't do week after week I can definitely see myself doing another meal plan if I find myself flying solo for the week (whenever Simon is away with work I can't be bothered to cook), or maybe as a good healthy start to the New Year after the Christmas binge out. Delivery services are currently unavailable but you can order your food online and then pick up from their store in South Shields. 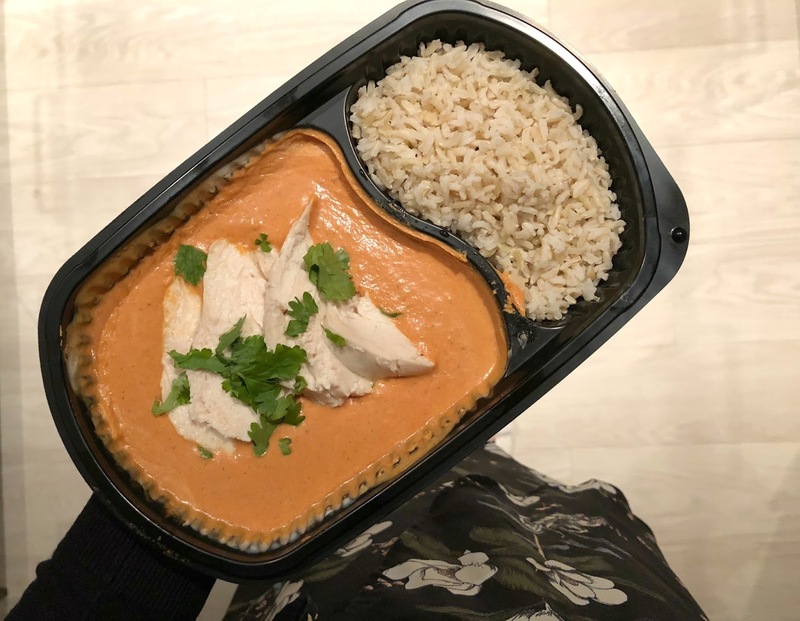 Guilt Free Kitchen treated me to a free meal plan in exchange for an honest review. I can honestly say that I was blown away by how amazing their food is! I'm going to be completely lost next week when I have to go back to cooking for myself! Oooh great review Chloe. I love what these guys do, I’ve got meals from them a few times. 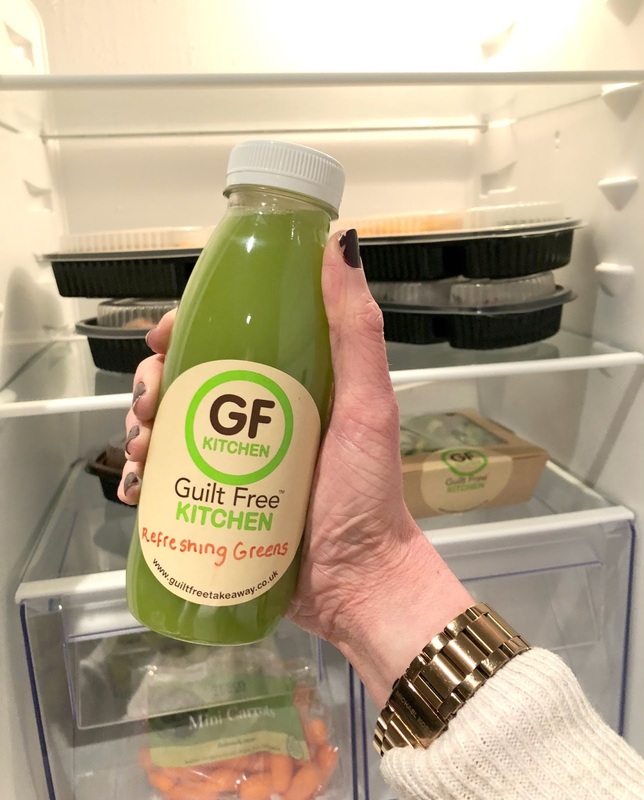 I love guilt free and this selection looks like it's changed from last time I tried, I'll have to give them another try!